Dr. Afsaneh Rabiei is interested in processing and characterization of advanced materials, metal foams, coatings and composites. She enjoys solving advanced materials problems aimed at improving our health, safety and environment. Her goal is to create new materials along with improving the properties and performance of existing materials by altering their manufacturing techniques and by studying their micro-structural and mechanical characterization and their failure analysis. Dr. Rabiei teaches Advanced Materials (MAE-539). In this course, Dr. Rabiei exposes students to newer classes of materials like metal foams, coatings, composites and thin films. She also surveys the current state-of-the-art in advanced materials and presents a comparison of our in-house capabilities with the state-of-the-art. At the undergraduate level, she teaches Statics (MAE-206), Solid Mechanics (MAE 314) and Strength of Mechanical Components (MAE-316). These are classical courses but she likes enriching these courses with discussions on environmental and physical properties exhibited by a wide variety of materials and real life applications. She also presents Undergraduate Research through MAE496 and MAE586. In this course an undergraduate student will be teamed up with a graduate student and will be assigned to work on a research project. Dr. Rabiei is a unique faculty advisor. Her students often work with professionals outside of MAE, on and off campus and quite often with international groups. Her students tend to be motivated, have good reading and writing skills, and enjoy scientific exploration. Much of her work leads to new inventions. She is fond of pointing out that her students work in an environment of creation. 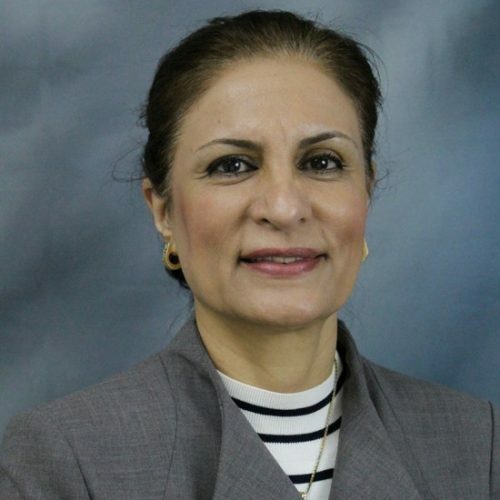 Outside of work, Dr. Rabiei enjoys her time with family and students. Dr. Rabiei is currently working in the areas of 1) coatings, 2) metal foams, and 3) cellular materials. The coatings work is being applied to biomedical implants, thermal barrier coatings, and refractory materials. Her research includes the deposition of such coatings as well as their mechanical and micro-structural evaluation and failure analysis. Her research in cellular structures focuses on metal foams for which improved energy absorption and radiation shielding are being realized. Her study of ultra-light materials addresses advantages that can be gained not only in biomedical and dental implants and safety devices for protection against various threats such as accidents, explosions or earthquakes, but also for energy conservation and alternative-energy applications.